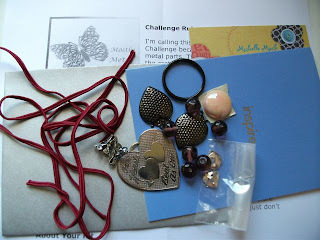 Well, I signed up with many others for the Mostly Metal Challenge by Michelle Mach. 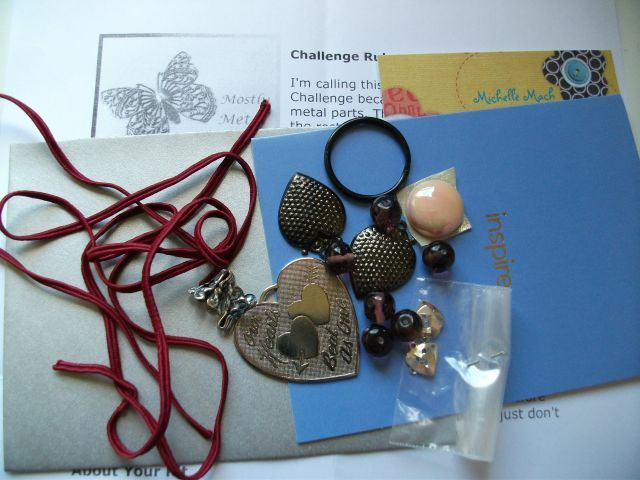 My lovely little kit arrived today. The photo above shows how it looks. I'm allowed to add anything from my own stash, but cannot show you my completed piece until the date of the big reveal, which is August 16 this year. Anyway, I've got some ideas forming. Maybe some seed beads, or wirework? I will have to have a play with the pack tonight and see what I can come up with. I hope you're joining in the challenge, too.